The American Legion ... recognized in 2015 for the collective patriotic, noble efforts ... of all involved with it! 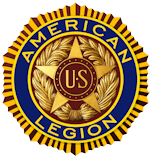 The American Legion was chartered and incorporated by Congress in 1919 as a patriotic veterans organization devoted to mutual helpfulness. It is the nation's largest veterans service organization, committed to mentoring and sponsorship of youth programs in our communities, advocating patriotism and honor, promoting a strong national security, and continued devotion to our fellow servicemembers and veterans. And while most Americans think "military veterans" when hearing ... The American Legion ... they would be proudly amazed at everything it does beyond ... being there for our deserving, honorable military veterans ... with many wounded warriors too. One particular wonderful effort is The American Legion's Boys State / Nation ... that is a participatory program in which U.S. high school students become part of the operation of local, county and state government in 49 participating states ... that culminates with two representatives of each state elected to attend Boys Nation in Washington DC ... where these young leaders receive an education on the structure and function of federal government. In fact, USA Patriotism! founder David Bancroft participated in the Texas Boys State ... and considers it a life impacting experience. Here is more about The American Legion. Here is a reminder why The American Legion came to be ... and can only do so through its dedicated employees, volunteers, and financial supporters!